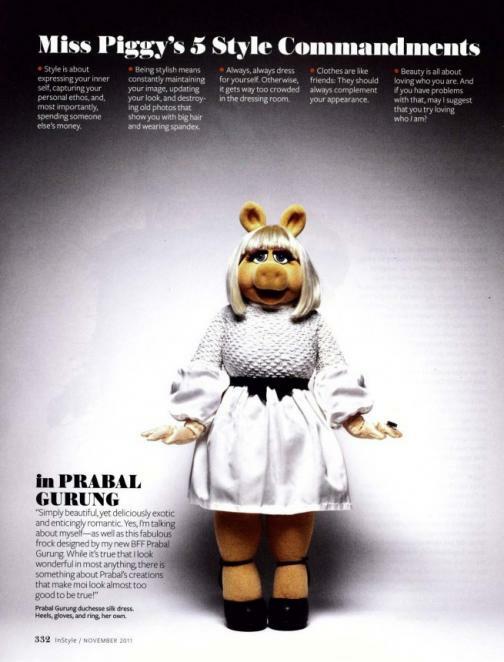 Miss Piggy - InStyle Magazine. . Wallpaper and background images in the The Muppets club tagged: muppets miss piggy piggy magazine instyle jim henson's company disney. This The Muppets fan art might contain নকল মানুষের, কমিক বই, কমিকস, and কার্টুন.